Looking back on the best moments of Countdown Chicago 2019. Mark Giangreco and Janet Davies are back as masters of ceremonies, along with Val Warner, Ryan Chiaverini, Terrell Brown, Cheryl Scott and Liz Nagy, broadcasting LIVE from the Chicago area's best parties. The broadcast starts at 11:08 p.m. on ABC 7 Chicago. 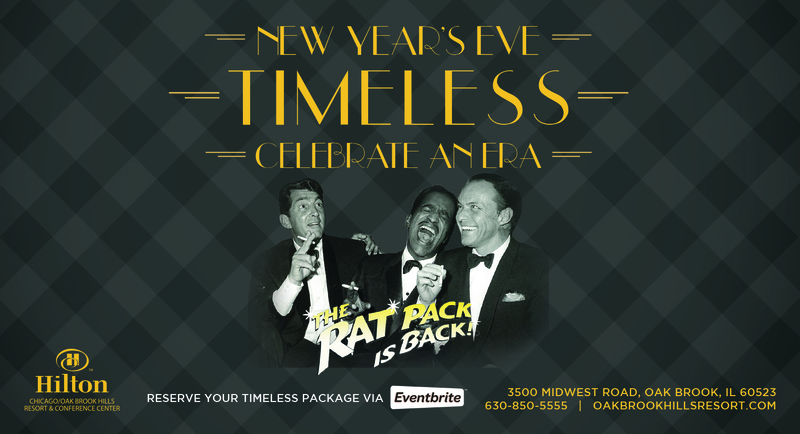 Hilton Chicago / Oak Brook Hills Resort is bringing back TIMELESS for NYE for an encore over the top experience. Direct from Las Vegas "The Rat Back is Back" celebrates Sinatra Style in the suburbs. Join Frank, Sammy, Dino and their 15-piece Big Band for a night to remember. Time: 8:30 p.m. to 12 a.m.
Join Windy City LIVE hosts Val Warner & Ryan Chiaverini as they ring in 2019 by Lake Michigan. 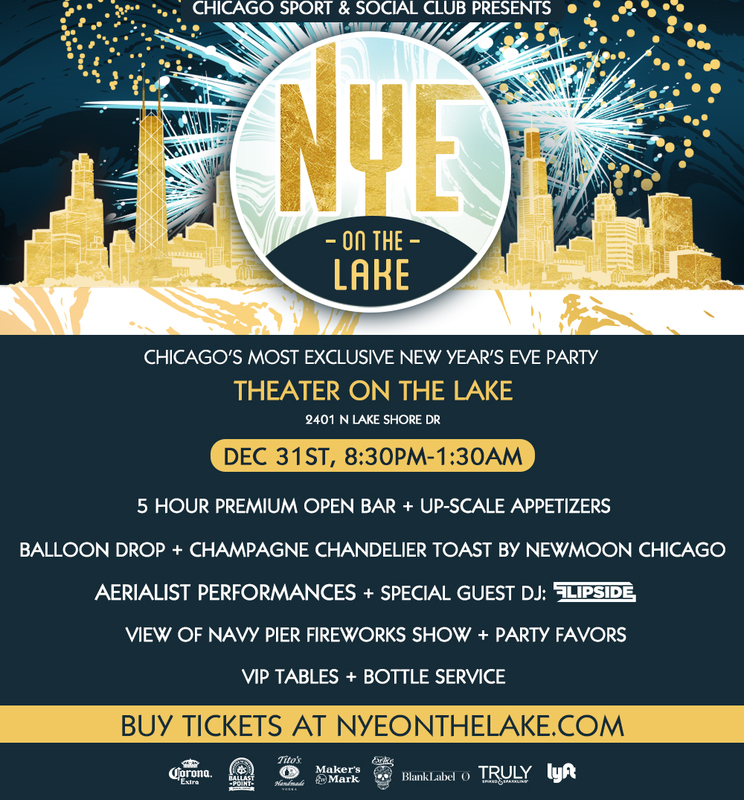 Chicago Sport & Social Club presents NYE on the Lake with performances by DJ Flipside, a Champagne Chandelier and aerialist performances by New Moon Chicago & Balloon Drop. The event also features a 5 hour premium open bar and up-scale appetizers. 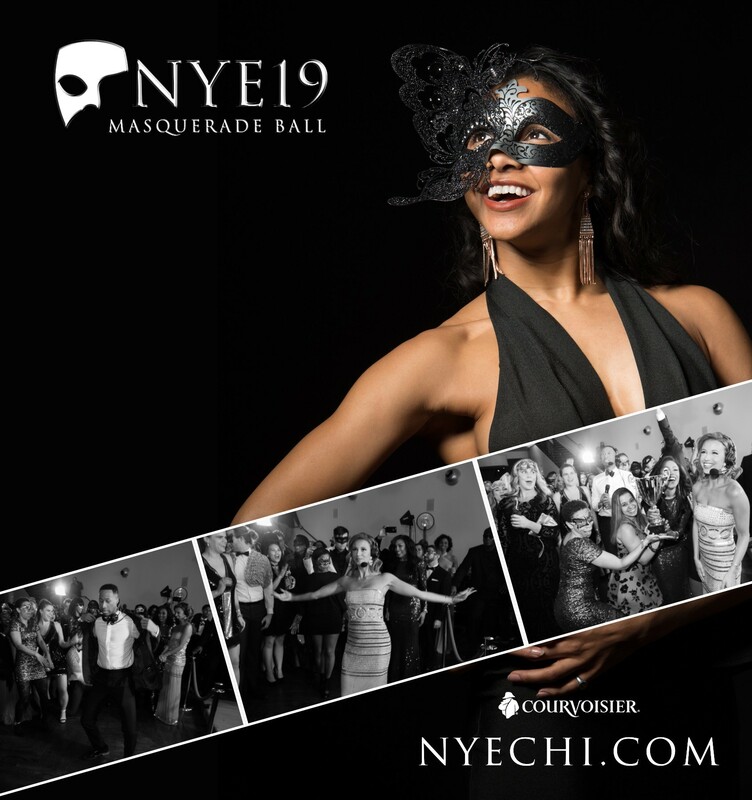 Time: 8:30 p.m. - 1:30 a.m.
Join the Prvit Echelon Team with ABC 7's Cheryl Scott & Terrell Brown as we ring in the new year at the glamorous and historic Lyric Opera House in downtown Chicago! Built in 1929 with intrinsic Art Deco flair, the Civic Opera House is celebrated as one of Chicago's architectural crown jewels building on the spirit of the venue, the event curates a hip Phantom of the Opera theme. Also included, premium open bar, Champagne toast at midnight, photo booth with performances by Sean mac, Kid Clay, and Windie Indie. Join ABC 7's Liz Nagy as she rings in 2019 with a Pierogi drop! The Whiting Indiana Knights of Columbus will drop their giant, illuminated Pierogi from a 90-foot crane at midnight. 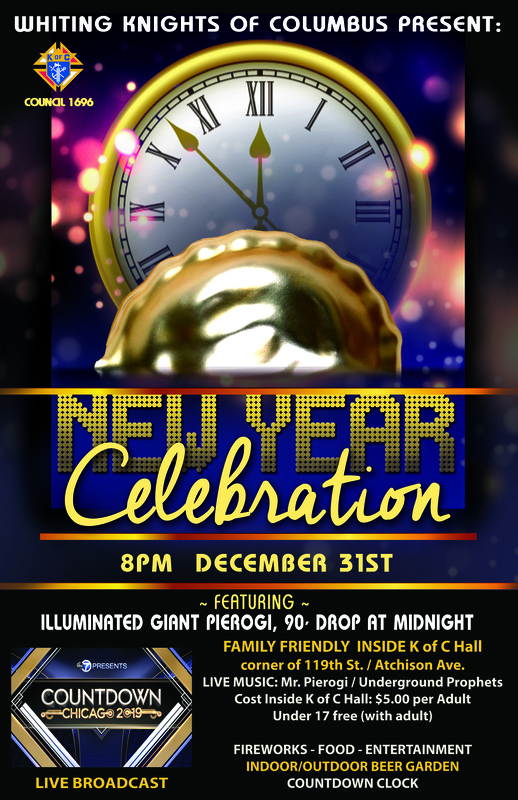 Mr. Pierogi / Underground Prophets will provide the entertainment along with a fireworks display at midnight. The Whiting, Indiana, Knights of Columbus kicked off 2019 by dropping a giant, illuminated pierogi from a 90-foot crane.